Great news! 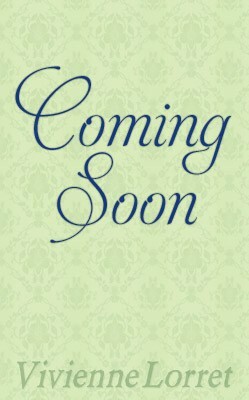 The first book in my upcoming mass market series with Avon has a title! Now, instead of working on boring ole “book 1,” I’m writing HOW TO FORGET A DUKE! When I was a child, waking up on Easter morning was even better than Christmas. Why? Because Easter morning meant candy. And not just any candy, but an entire assortment of strange and wonderful confections: pastel candy-coated marshmallows, a hollow chocolate bunny as big as my hand, candy buttons, tootsie roll bank tubes, and enough jellybeans to weigh down the not-so-tasty plastic Easter grass at the bottom of the basket. Living in a household with an unforgivably strict (yes, Mom, I’m looking at you) sugar ban, this candy buffet was a HUGE event. Sure, at Christmas our stockings held a peppermint stick as big as a femur, but come on, I usually had 3/4 of the one from last year hiding in the “secret candy storage” in my dollhouse. The candy bonanza was probably helped by the fact that my father (the OG EB in my life) had just ended a Lenten sugar fast and was probably just as eager to have some sweets for himself. So we all came out winners. It was a good thing my sisters and I had a fair trade (or not so fair trade) system. Since I wasn’t that big into the gross stuff or even the Tootsie Rolls, I usually “traded” all of mine in order to have the empty bank tubes. JUST ANOTHER VISCOUNT IN LOVE is officially on my editor’s desk! Yay!!! In this story, Viscount Ellery is still on his quest for a bride. Dubbed the toast of the ton, Sam should have no trouble finding a bride, right? Yet his cautious nature has not served him well so far. After failing during the London Season, he is determined to host a party and choose a wife from one of his guests. Then a fateful encounter scatters his careful plans. Gemma Desmond needs a new name. Her father’s evil deeds have tarnished the one she has, making her an outcast from polite society. The problem is, the only way to escape the stigma of a sullied surname is to marry. Because of her reputation, however, no decent man will have her. Unfortunately for Gemma, Sam is a good, decent man, and it is far too easy to fall in love with him. 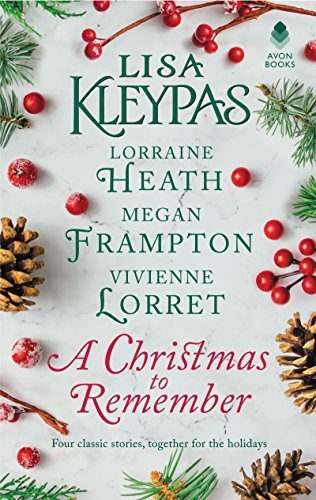 Yet when a pair of conniving debutantes plot a terrible scheme against her, it proves that she will always be tainted by her father’s misdeeds. And that’s the last thing she would ever want for Sam. She isn’t sure which will be the hardest thing she’ll ever do—letting him go, or choosing to stay. 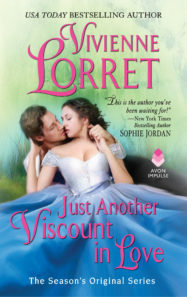 JUST ANOTHER VISCOUNT IN LOVE will be available on August 1st.